Get inspired by one of the most sweet and romantic color, shades of pink “Rose Quartz”. This palette is what exactly comes to mind what I think of Rose Quartz. 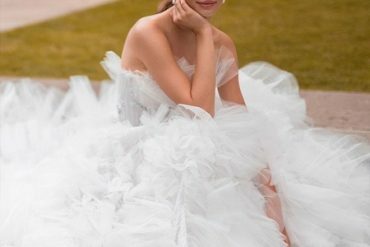 Pretty,feminine,fun,romantic and fabulous! See how rose quartz wedding colour can be perfect for your spring wedding. For a bride who wants to make a statement on her wedding day, a blush colored wedding gown is one for you, like in our palette the bride looks so feminine in blush gown. Keep the decor simple use shades of blush flowers and candles. Blush glassware! You could use for toasting glasses for your reception and your guests can pick one then take it home for their favor. OMG this palette is so pretty. I do love how you put silver and light pink together. Do you know where I can get that silver shoes? Any ideas? Let me know if anything else. Thank God I’ve found this palette,your palette gives me hope! I’m wearing a pink wedding dress. I’ve already bought my dress but I was not sure about it and I couldn’t picture it. Any Ideas what bridesmaids and H2B? So i can start to picture it all in my head. Thank you for your kind words. Well I think light gold or ivory , champagne or silver would go very well with this colour theme. If you open with bold colours bridesmaids could wear hot pink or mauve. If summer wedding navy blue would look amazing. I’m guessing your dress is pale pink? 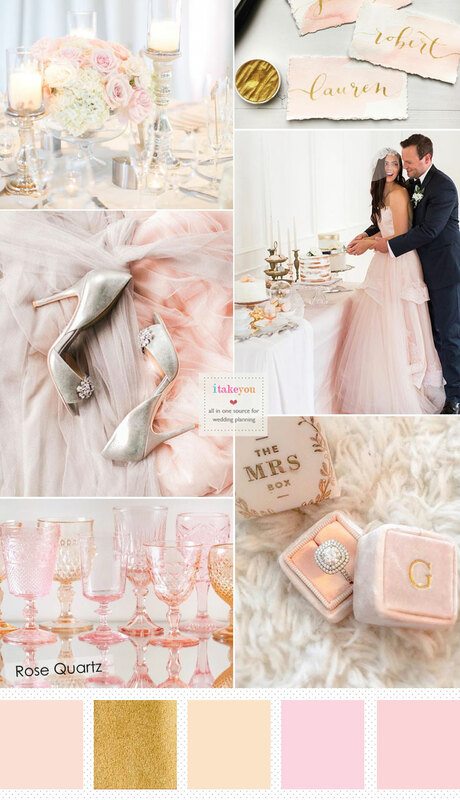 If your theme is grey and pink like this palette, I think light pink convertible dress with different styles would go really well with your dress. Gorgeous palette! I think ivory would go brilliant with this colour theme. I’d look at a soft silvery grey cravat for your H2B with a silver/ivory waistcoat as silver and pink works really well together. And for your bridesmaids you could also use light grey or silver instead of ivory or you could use a stronger shade of pink – that could look really stunning! 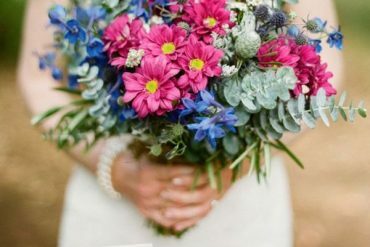 I think as long as you don’t go over board with pink everywhere else, and lots toned down with a nice bouquet it will look beautiful! just go for it. My friend’s wedding was pink and silver colour theme. Her husband had a platinum silver cravat and waistcoat and a blush pink roses boutonniere. My friend wore ronald Joyce dress,she looked beautiful. Sometimes you have to just go with your gut instinct. Just go for it !! My friend wore a pink dress and her bridesmaids were in a dark dusky pink long dresses. They look stunning!